Enter search terms into the basic search field. 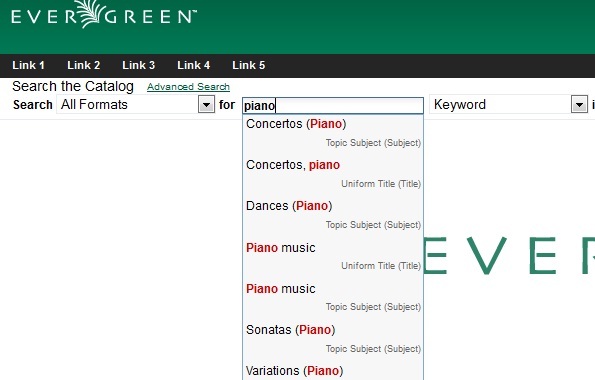 Evergreen will automatically suggest search terms. Select a suggestion to view records that are linked to this suggestion.